RE2 is shaping up to be another classic for the series! Back when it was announced last E3, the Resident Evil 2 remake quickly shot up our list of games that we’re most excited for. Fans have been clamoring for an RE2 remake for a long time now, making this game one of the most highly-anticipated titles of 2019. With this much hype comes a lot of pressure though; for a remake to truly work, it must be faithful to the original all while incorporating fresh gameplay ideas. Thankfully, it seems that the development team over at Capcom have taken this to heart. 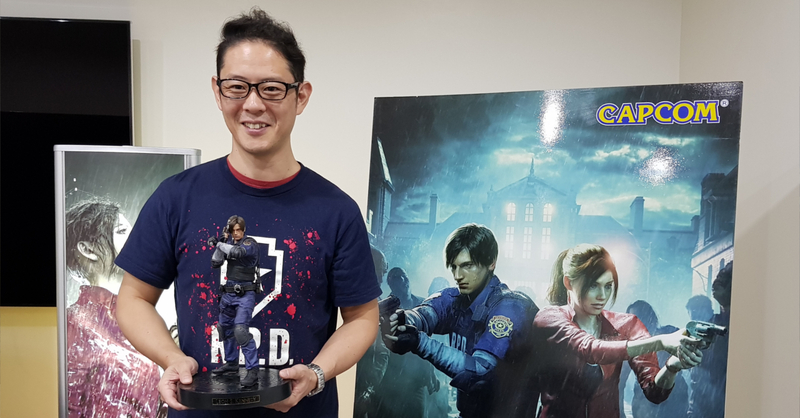 In a recent media event hosted by Datablitz, Capcom brought over RE2 producer Tsuyoshi Kanda to share how Resident Evil 2 ‘reimagines‘ the original game’s story and gameplay for a modern audience. 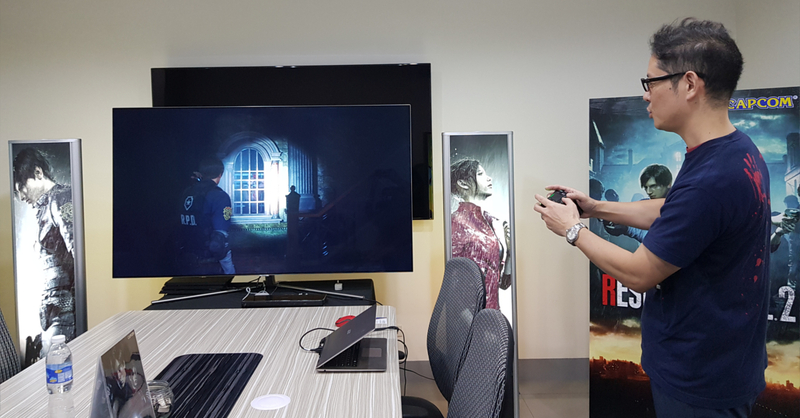 Of course, Kanda-san didn’t just go the Philippines to talk about the game, the producer also showcased snippets of RE2’s campaign (which he played himself). 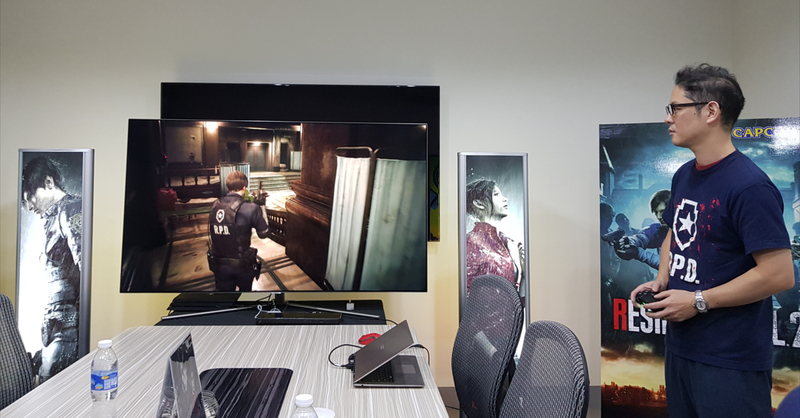 The first of his three runs was on the Leon demo (which we’ve played back in PSX 2018). While we’re already familiar with what the demo showcased even before this media preview, we still learned quite a few things that we’ve missed in our previous run. After all, watching the game’s producer himself play is a better experience than playing in a packed game convention. Some things that we found out thanks to Kanda-san’s demo is that there are new gameplay items such as wooden boards (to board up windows) that are integral to certain parts of the game’s campaign. He also showcased the game’s various sub-weapons such as knives and grenades; in this game, grenades are one of the most powerful weapons, though they’re found in very limited quantities. Knives meanwhile, can get players out of sticky situations, but each knife has a limited amount of uses before breaking (sort of like shivs in The Last of Us). While there are a lot of new items in the RE2 remake, there’s also some callbacks to the original game such as typewriters! If you haven’t played the original RE2, the game’s save points are typewriters; for the remake, the typewriters will also function as save points. In the original, players need Ink Ribbons to save. For the upcoming game, this feature is returning on hard mode — players on normal will be able to save whenever they need. After finishing the Leon demo, Kanda-san jumped over to the two Claire demos — the William Birkin fight and the Licker gameplay. As I‘ve already played the Birkin fight at ESGS 2018, I was more excited to see the Lickers in action. Claire’s encounter with the Lickers comes right after the Birkin fight, and it presents a much different challenge. Birkin’s fight was tense yes, but it was fairly straightforward as you just had to dodge his (fairly slow) attacks while pelting him with bullets. Lickers though are much tougher to hit; not only are they smaller than Birkin, they’re also much faster. While they seem near-impossible to defeat, they do have a weakness — Lickers are blind. This means you can sneak past them if you walk very slowly. Doing so is still very intense, especially as one wrong move and you’ll be within striking (well, licking) distance. It’s a good thing you don’t have to defeat all the Lickers to get past that stage, though I do expect more encounters with these monsters as the game progresses. From what we’ve seen of RE2 from the event, the game plays like a third-person Resident Evil 7. Unlike the more action-oriented fifth and sixth installments, RE2 has a slower and more intense combat which fits the story a lot more. 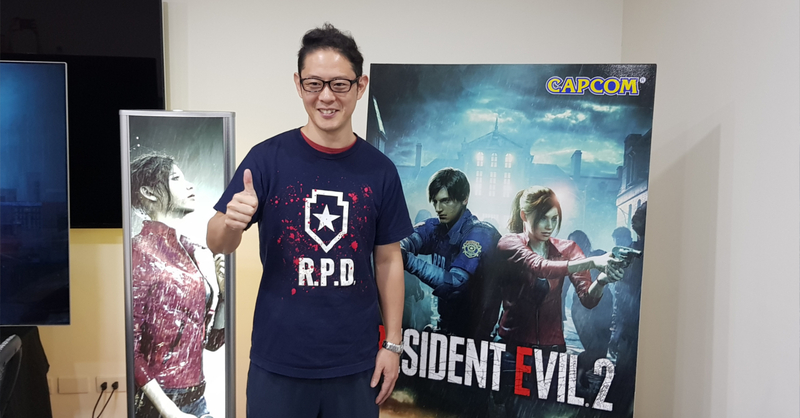 This is no surprise, given that the game’s development team consists of both original RE2 devs as well as the people who worked on RE7 (including Tsuyoshi Kanda himself). Speaking of story, Resident Evil 2 will follow the same basic plot as the original PS1 title, but with a number key of differences. For one, characters will be introduced at different points in this game compared to the original (e.g. Brian Irons’ introduction at the end of the Claire demo). Not only is the story shuffled around, the jump scares from the original are also now in different locations. This means that the game will be a fresh experience even for the most avid RE2 players. Overall, Resident Evil 2 is shaping up to deliver on its massive hype. As the team focused on ‘reimagining’ the game instead of making a shot-for-shot remake, RE2 looks like a proper mainline RE game that can stand along the series’ greatest titles such as the fourth and seventh installments. For both fans of the original title and for those new to the series, Resident Evil 2 promises to be a must-play! Resident Evil 2 will be released for the PS4, Xbox One, and PC on January 25, 2019.